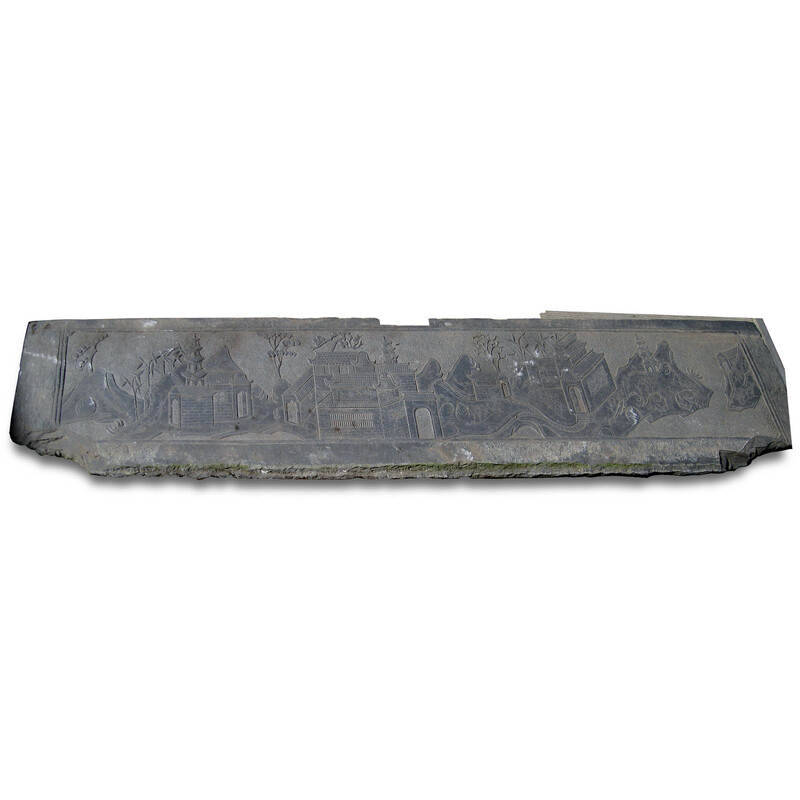 This unusual dark, almost black, carved old stone plaque was part of a building wall. It depicts a scenery of various buildings and pavilions, several different kinds of trees and rocks, as well as bridges, steps, and paths. The four characters in the middle, which one could barely see, read “Shui-Xi spring delight”. “Shui” is water, “Xi” is west. This “Shui- Xi”might be the “Shui- Xi village” , west of the old Tien-Jin city and the south shore of the Nan-Yuan-He South Channel, a famous private cluster of old Chinese gardens and buildings created by a wealthy merchant, “Cha” family, who prospered from selling salt, in 1700's. Apparently, it was so beautiful, not only it had attracted many writers and artists, Qian-Long Emperor also visited this place four times. Some literature researchers thought that the various landscape scenes in the famous classic “Dream of the Red Chamber” might have a tie with Shui-Xi village as the Cha family and the family of the author of the book were very close.